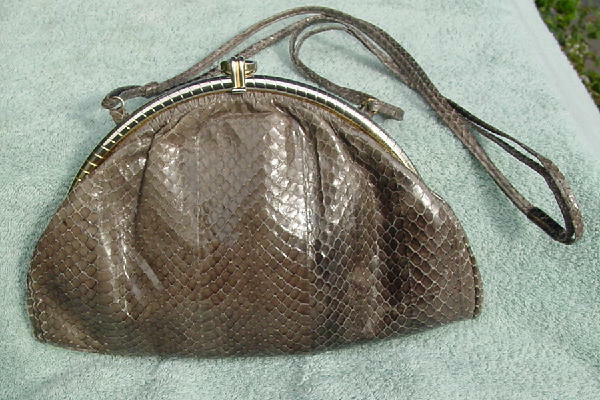 This vintage dark gray Susan Gail genuine snakeskin Bellido purse was made in Spain. It has a ridged gold-tone metal rim along both sides of the mouth. 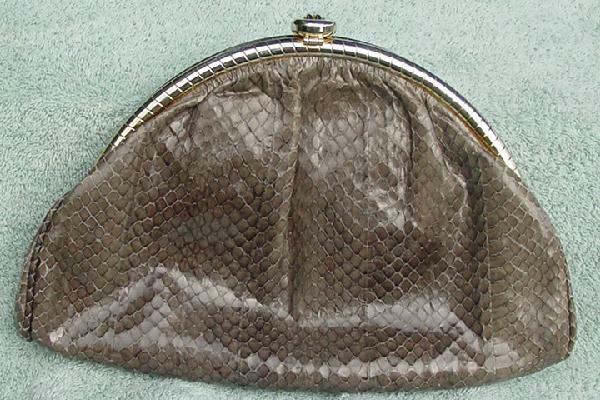 There is a 39" long doubled matching snakeskin shoulder strap which can be tucked inside so you can carry it as a clutch. The interior has a 1 5/8" (at the widest) snakeskin lining on both sides, and below that a black brushed cotton lining. It has a full zippered side pocket. 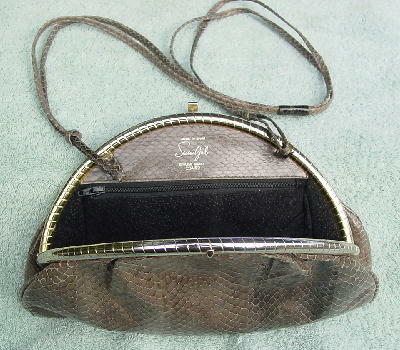 Susan Gail Made in Spain genuine snake Bellido are written in gold letters on the interior snakeskin lining. It is fan shaped and has a clasp in the shape of a circle with a tail. It has large really nice snakeskin scales. There is no taupe cast to it, unlike how it appears in the pictures. It's from a stylist, and was used in a European magazine photo shoot.